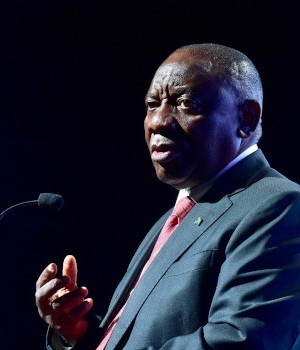 President Cyril Ramaphosa told delegates at the 25th Investing in African Mining Indaba in Cape Town that government would introduce a range of reforms in legislation and state-owned entities to ensure that the local mining industry remained in its "sunrise days". Among the interventions listed were "structural reforms" to Eskom, certainty in legislation, attracting billions in investment and transformation of the formal economy. Ramaphosa said South Africa was a fifth of the way towards collecting the $100bn in investments that he pledged to collect last year. Ramaphosa said the fact that mining companies continued with investment commitments in South Africa was proof that mining remained "a sunrise industry" in the country. "Many say that the sun is setting on the South African mining industry after years of leading the economy. We are firm believers that South Africa’s mining industry is still in its sunrise days, and long will those days last," said Ramaphosa. Ramaphosa told delegates that mining investors needed to be reassured South Africa could provide secure and cost-effective energy. However, he said Eskom’s precarious position undermined South Africa’s ability to commit to this. "We have been giving detailed attention to the crisis and challenge Eskom is facing. It faces significant operational, financial problems. "Eskom is just too important and too big to be made to fail. We will not allow Eskom to fail. Restoring the energy security of this country is an absolute imperative. Rest assured we are going to address this problem," said Ramaphosa. He said "in a few days" government would announce measures aimed at improving Eskom’s financial and structural stability because the utility was "too important to be allowed to fail". Ramaphosa also praised Minister of Mineral Resource Gwede Mantashe, calling him an experienced authority on mining who "knows the industry in and out". He said Mantashe’s arrival at the department came with policy certainty for investors. "We moved to speed up the finalisation of the mining charter and legislation around gas and exploration. Leaders in the mining industry never gave up. You raised your voices, concerns and misgivings with us. Now you have our undivided attention," said Ramaphosa. Ramaphosa said the commitments towards his $100bn investment drive were a clear indication that South Africa was an attractive destination for investment. He said the presence of 6 000 delegates at the Indaba was a further indication that the world saw the African continent as becoming more and more attractive for investment. He emphasised that many of the commitments came from the mining sector, saying this underlined mining's importance in the SA economy. Ramaphosa also urged investors to appreciate government's need to address historical inequality in South African society as he took a moment to defend the government's commitment to land expropriation without compensation. "Concern has been raised about the expropriation of land without compensation as a measure to reduce inequality. "This is meant to enhance rather than impede on property rights as it addresses the original sin of land dispossession. This will be done for the purpose of land reform under specific circumstances," Ramaphosa said.